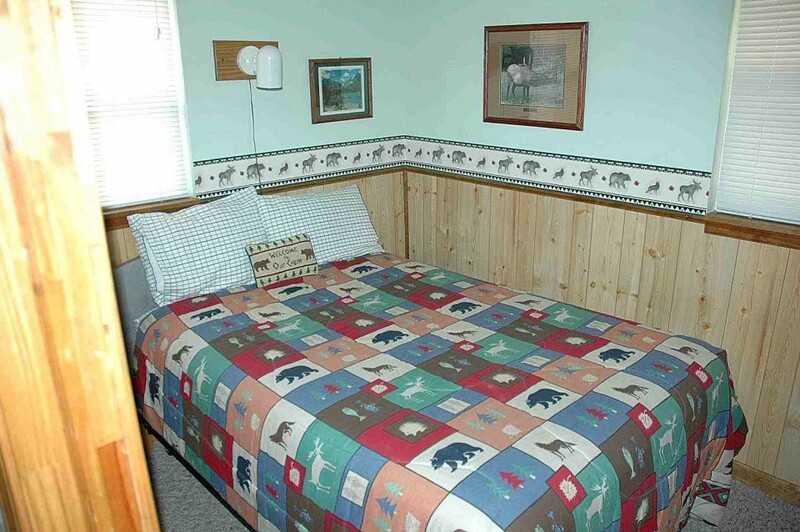 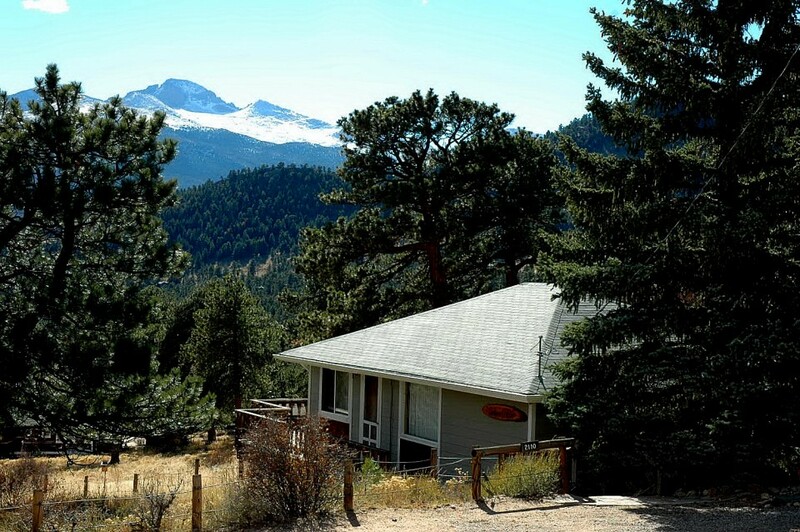 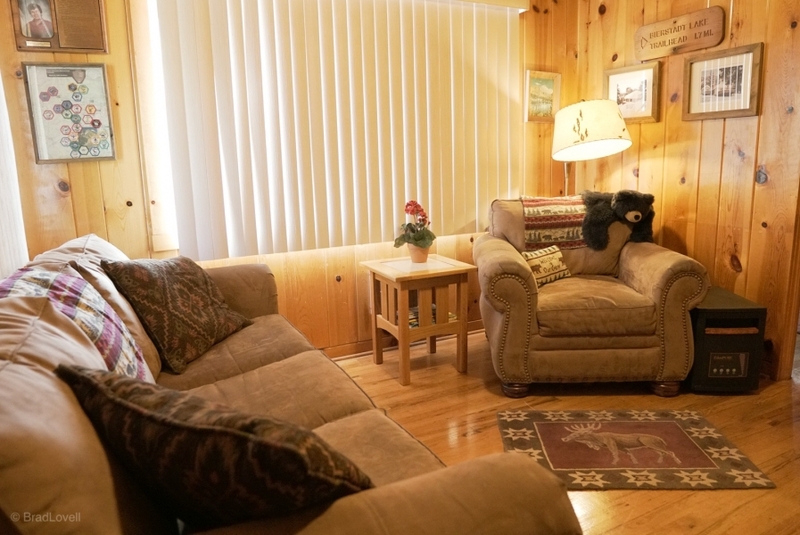 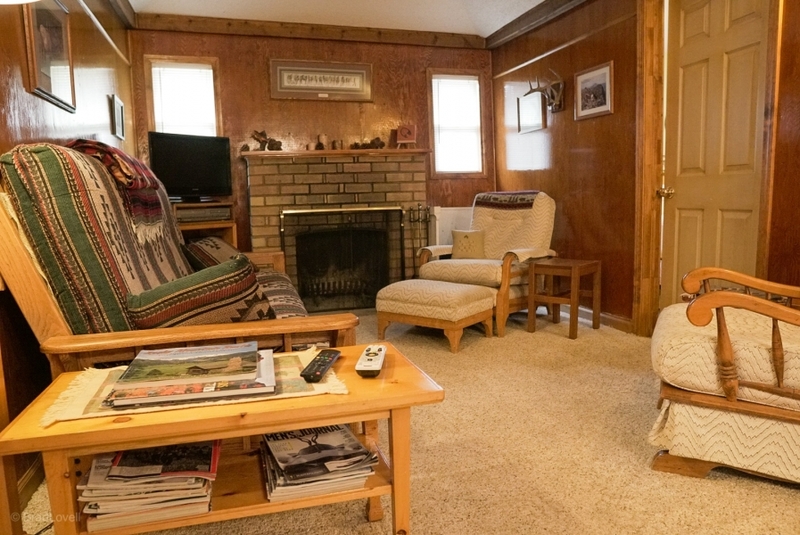 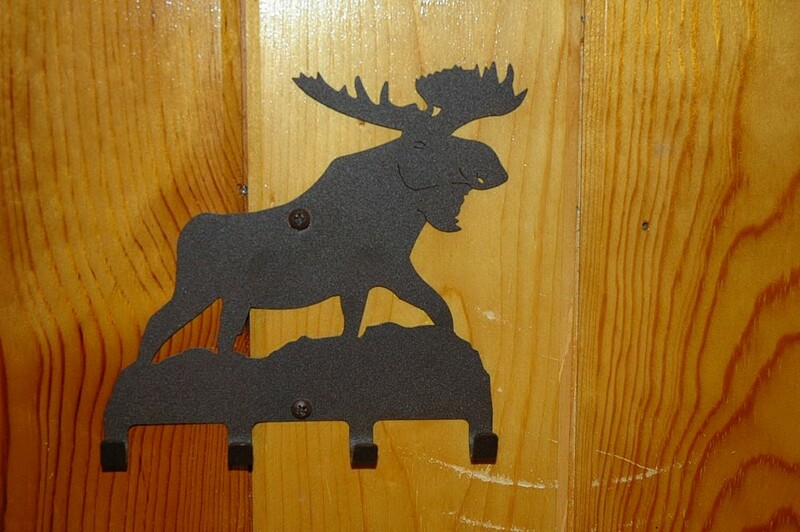 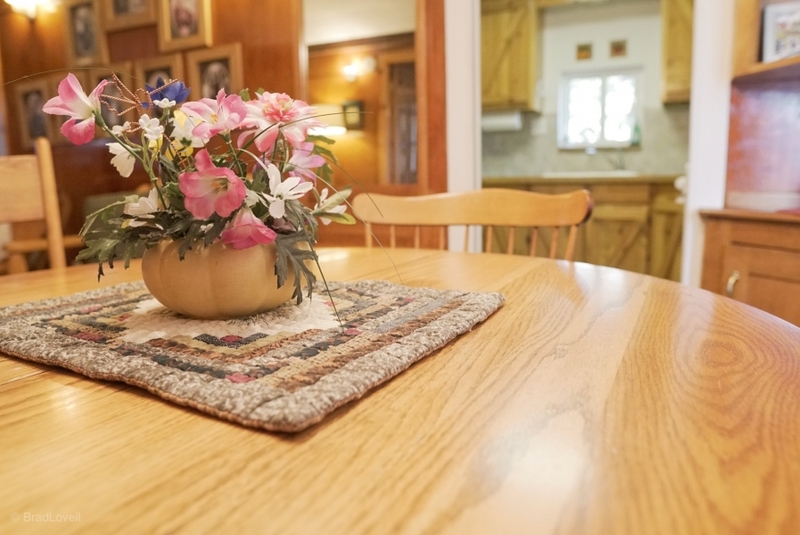 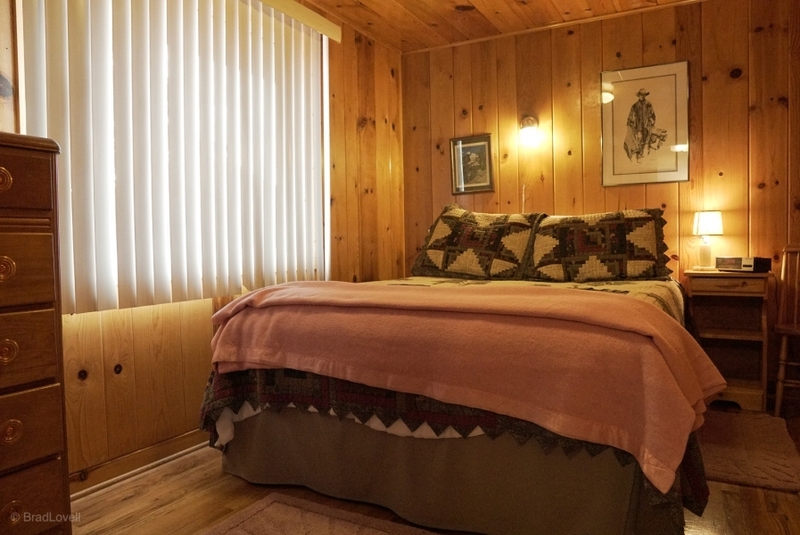 Sunny cabin with knotty pine interior located in a quiet treed setting with excellent views, too. 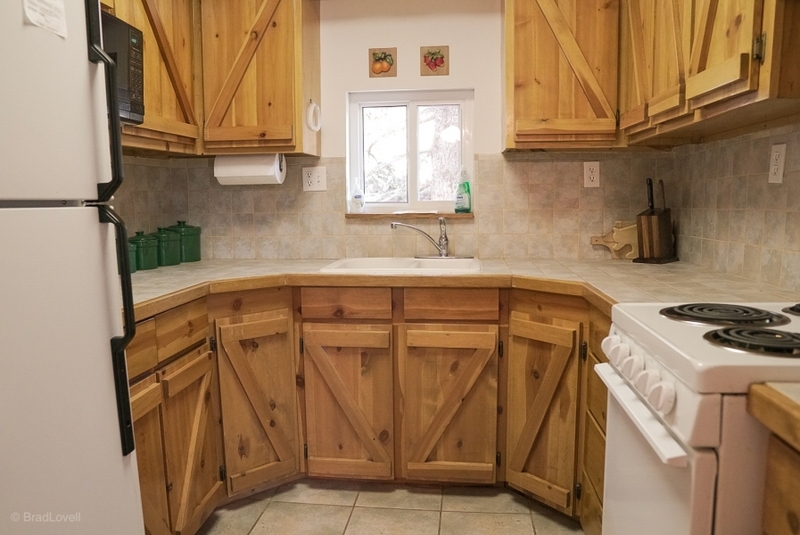 Kitchen with beautiful wood cabinets and tile counters. 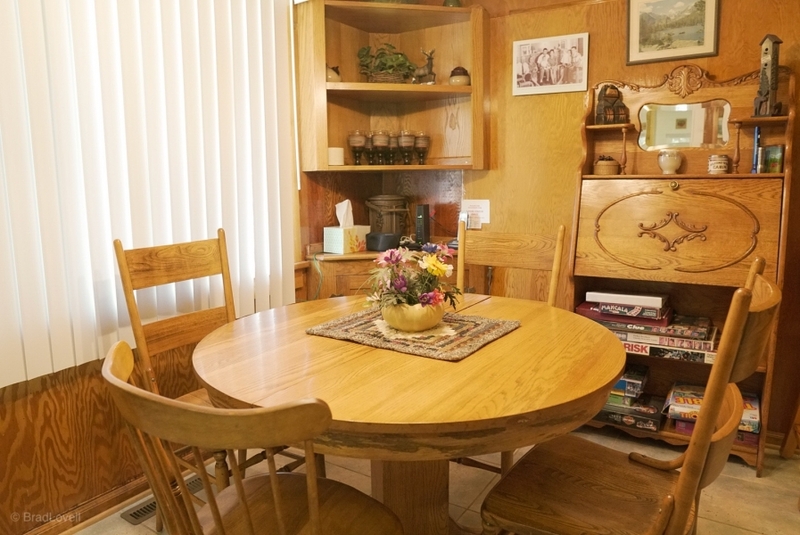 Charming sun-room that is perfect for reading, conversation or game playing. 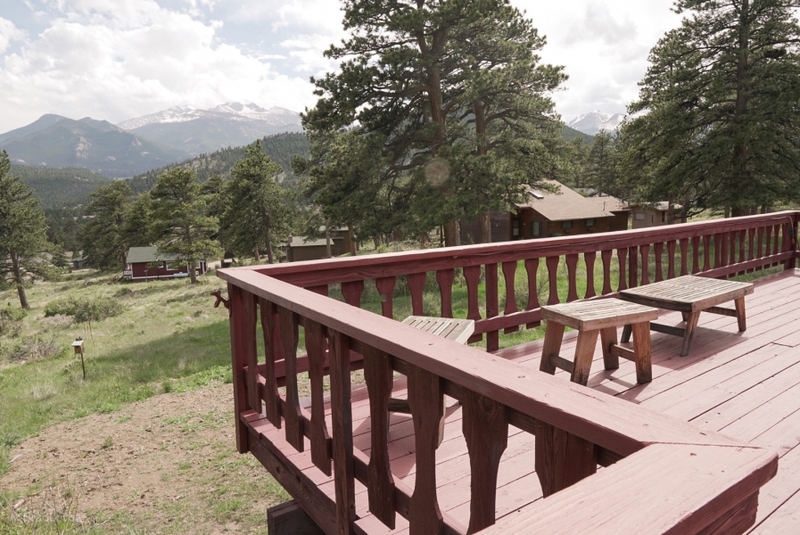 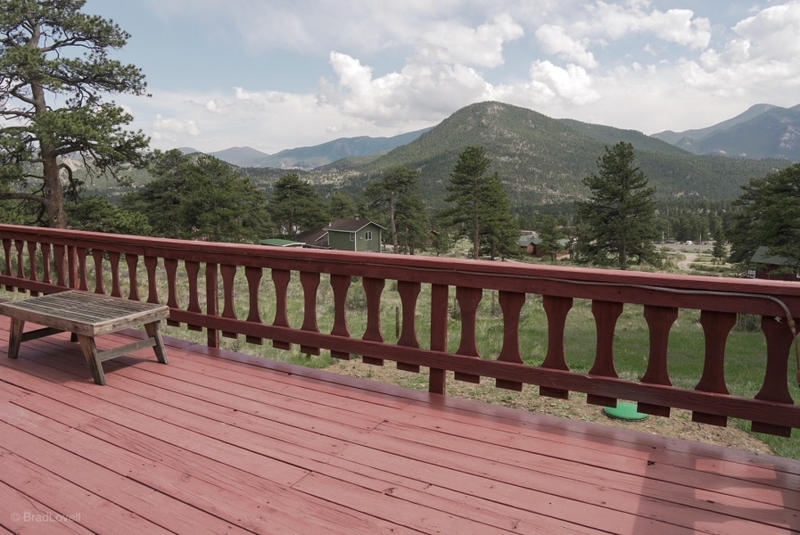 Large deck with great views.